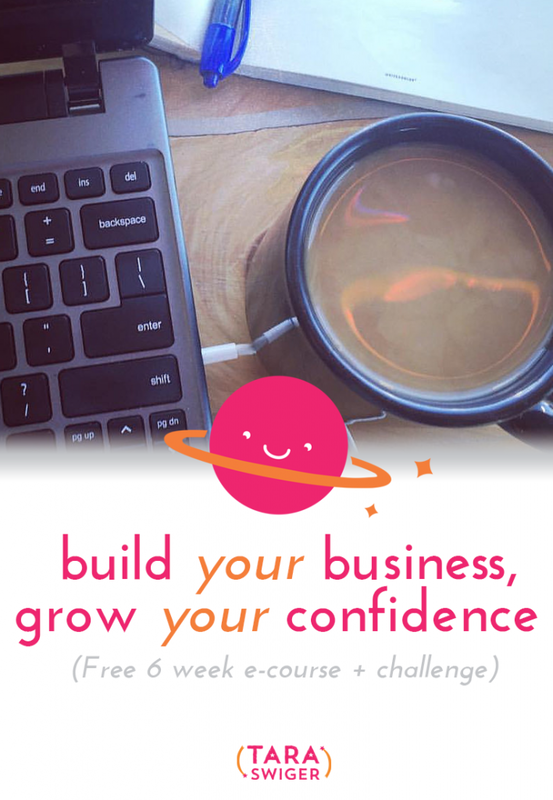 @taraswiger is hosting a great #bizconfidencechallenge to inspire us all to celebrate our achievements. Three things I am proud of: 1. Getting out of my shell and meeting new knitterly friends #4plycooperative 2. Getting my monthly newsletter off the ground 3. Taking positive steps to improve my photography skills. Day 1 #bizconfidencechallenge. I'm proud of my yarn and booth design, my first ever ecourse in color exploration and my creative spirit that never lets me down! Last week’s reaction to the #BizConfidenceChallenge blew me away. YOU have so much to be proud of, you have so much to build your confidence on! So…what’s up with the self-doubt? Why do you doubt you can do awesome things when you’ve already done SO MUCH? Often self-doubt (or lack of confidence) is tied to fear – we hold ourselves back (or think we're not good enough), not because we have any proof, but because we're afraid of … something. When I ask my clients and students what they're afraid of, the answer usually surprises them. (It's easy to let the fear rule you, without ever even knowing it's there!) And yet their answer never surprises me – I’ve either felt it myself, or talked to MANY makers who have! But once they identify the fear, we can work with it. We can question it, challenge it, or just allow it to hang around. (@Elizabeth_Gilbert_writer talks about letting your fear ride with your creativity in #bigmagic). That's your challenge this week: Look at WHAT lack-of-confidence is holding you back from. (Sharing your work? Social media? Sending a newsletter? Hiring help? Taking the next step?) Then ask: What am I afraid of? If I did the thing now, what am I afraid of happening? Finally ask: What's the WORST that can happen if that fear comes true? Could I survive it? And what's the REALISTIC outcome? This isn't (necessarily) going to dispel this fear forever, and that's not our goal. Our aim is to see it for what it is and RECOGNIZE THAT YOU CAN SURVIVE IT. You see, even the most confident, brave people feel fear (of being “found out”, of being judged, etc.). The difference is, they feel confident that they can handle it, and so the fear doesn’t keep them from doing what they need to do. ✨To take part in the challenge: Share a photo inspired by either *What your fear holds you back from doing in your biz *What you're afraid of *Your worst case scenario and tag it #BizConfidenceChallenge! New to the challenge? Learn more and sign up for free lessons in profile! Know some friends who could use a confidence boost?